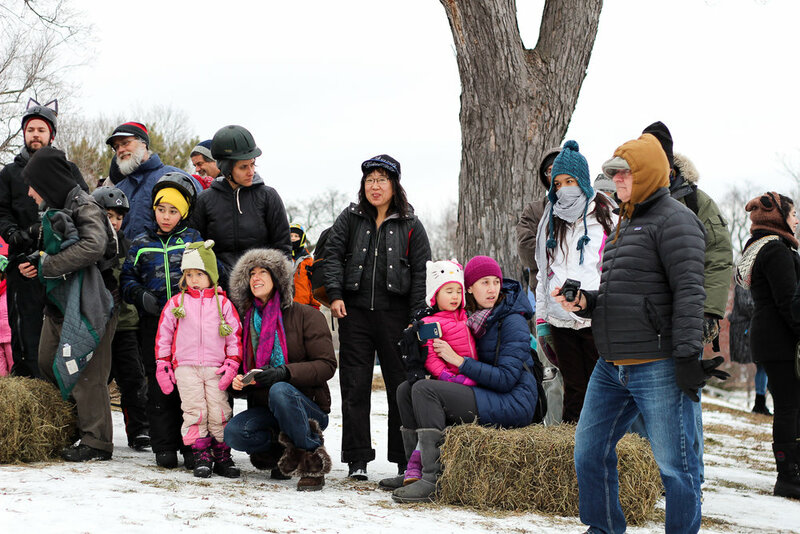 The Art Sled Rally is all about community, in the most real sense of the word. 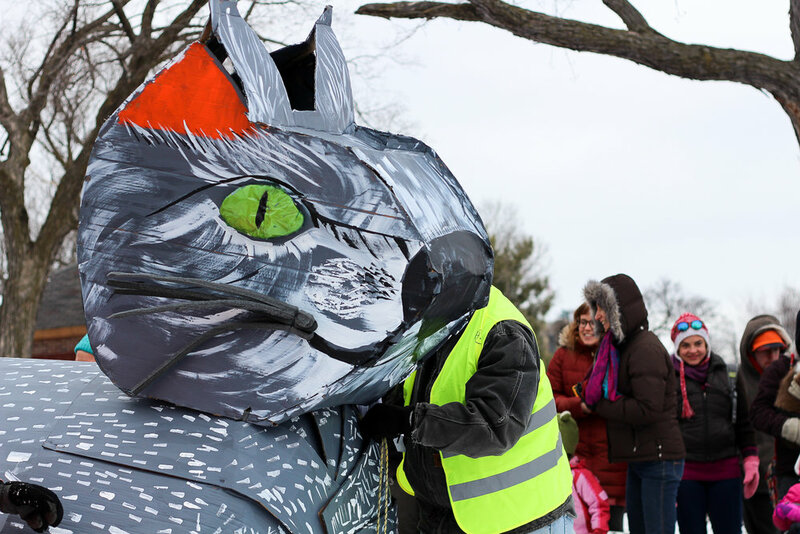 While our government's moral compass is pointed in a direction that makes me physically sick, I've been grasping at anything and everything that I can do to keep myself from having a heart attack. 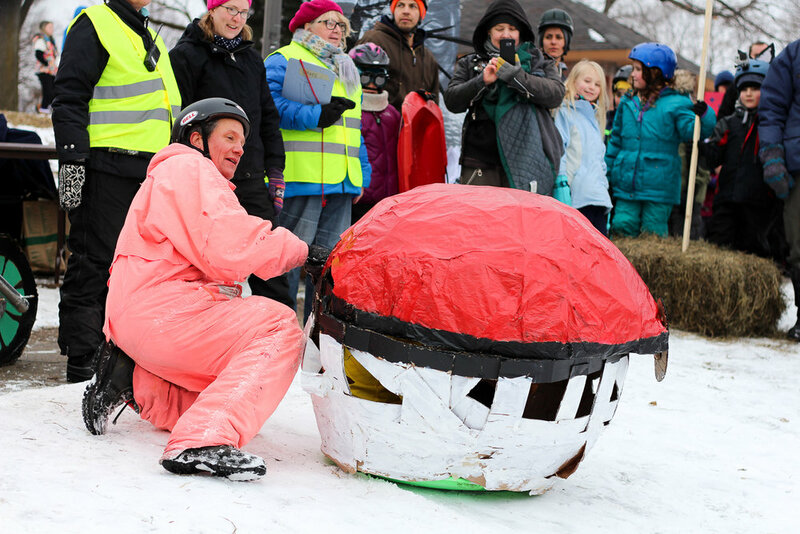 Sometimes that's cooking (escape), sometimes that's writing profanity-laced letters to congress and donating money (action) and sometimes that's experiencing the joy of an entire neighborhood barreling down a hill in South Minneapolis in sleds that look like giant cats, Pokemon balls and gingerbread houses. 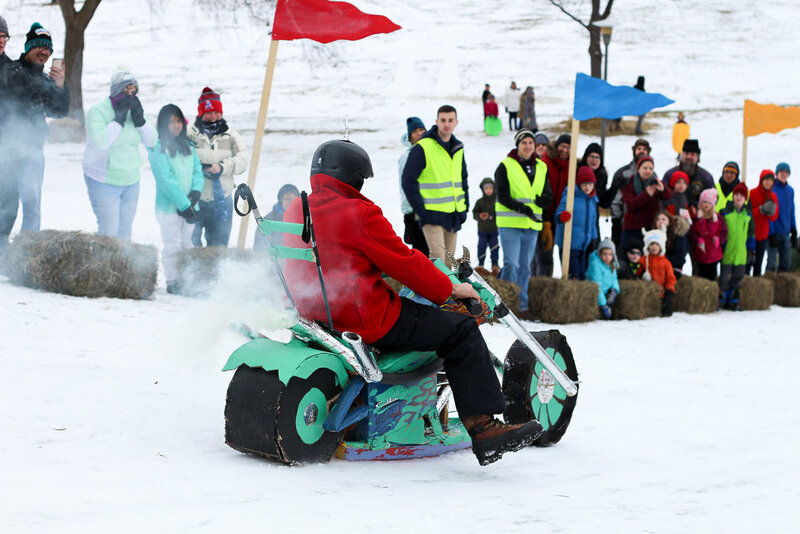 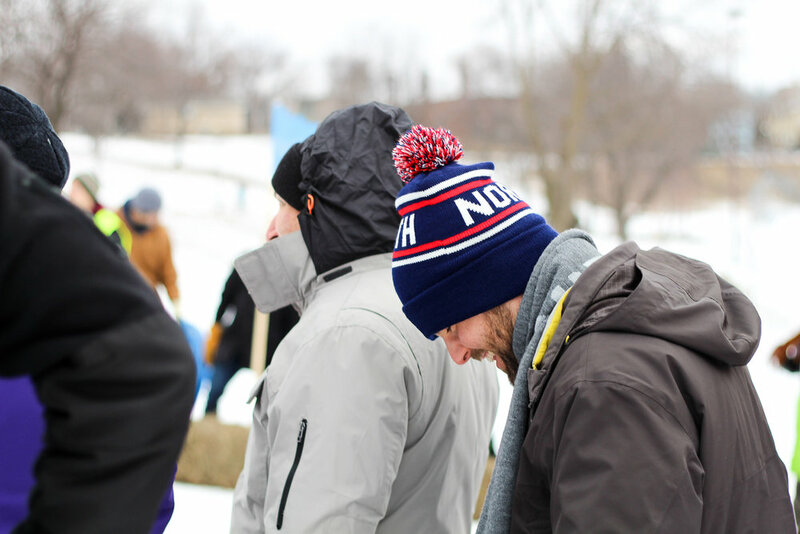 As silly as it sounds, this annual Powderhorn event makes me so proud to be a Minneapolitan.